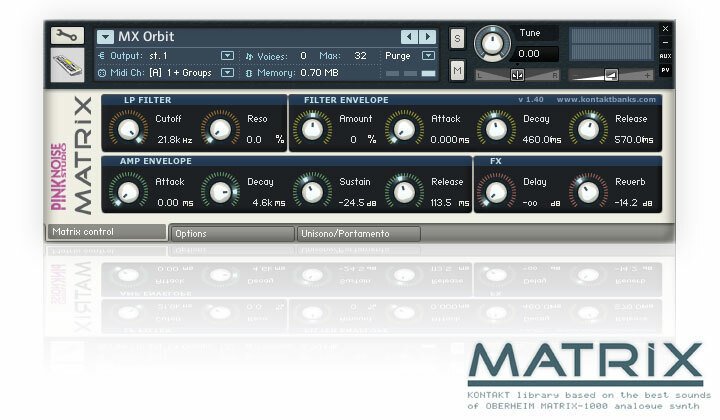 MATRIX is a Kontakt sound library* based on the best sounds of the famous Oberheim Matrix-1000 synthesizer. Featuring a wide range of warm analogue sounds, this collection lets you add dynamic basses, vivid leads and fat pads to your musical productions. * please note: our Kontakt banks require the full retail version of Kontakt 3.5 (or more recent version), they are not compatible with the free Kontakt Player. 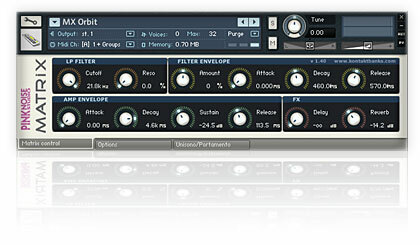 MATRIX is available in Reason refill format as well. The following simplified MIDI implementation chart is designed as a quick reference guide that allows you to identify at a glance which MIDI control change (CC) messages are implemented by Revolver in Kontakt. release time of the amplitude envelope. In addition, in most cases: modwheel (CC 01) controls the filter modulations, aftertouch adds vibrato effect. 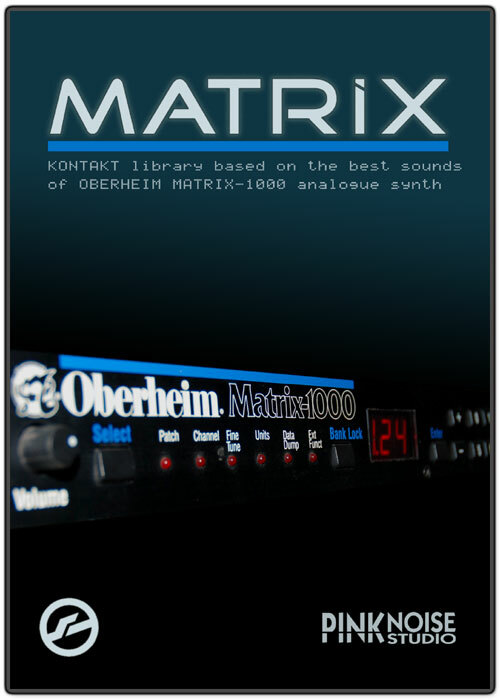 Oberheim Matrix-1000 is the last real analogue synth of Oberheim from the late 80's. The Matrix-1000 is a single-space compact rackmount module. It has the same synth architecture as the Matrix 6. Each of its 6 voices has 2 DCO's (digitally controlled analogue oscillator), a low pass filter, 2 VCA's, 3 envelope gens, 2 LFO's, and 2 ramp gens. The Matrix-1000 provides an excellent source of pads, textures and ambient sounds. It has been used by Apollo 440, Juno Reactor, Moby, Cirrus, Fatboy Slim, Laurent Garnier, ATB, Depeche Mode, Future Sound of London, Pet Shop Boys, and Faithless.